‘Mixers’ – waters, juices, syrups and minerals – aren’t normally the star of the show. Usually playing second fiddle to the spirits or other alcoholic components in drinks, mixers are arguably as important and, in many cases, as (if not more) flavourful. Unfortunately, they’re often overlooked, and one of the first places bar programmes look to when trying to cut costs. However, this shouldn’t be the case. High quality and well considered mixers help reflect the flavours of your chosen spirit(s) or liqueur(s) in tall drinks. They’re also more attainable than high quality spirits, liqueurs or other ingredients as they’re generally found outside specialist stores and at affordable prices. Quality mixers can elevate a spirit or drink to higher levels and some flavour combinations are just meant to be. Bacon and eggs, strawberries and cream, gin and tonic; some pairings not only complement each other but raise the initial offering to a higher place. Below, we look at a few of the usual suspects and highlight their strengths, before suggesting a spirit combo to showcase the flavour pairing. Indian tonic water has long been a favourite in bars for the various qualities it brings as a mixer to many spirits. Originally thought to be medicinal but more recently regarded for its abilities to partner and amplify the flavours of certain spirits. A carbonated beverage with bitterness from quinine (extracted from cinchona bark) and a dryness that sets the stage for bright citrus notes in vodkas or the botanical qualities in gins. With an increased demand, today there are several variations on the classic unflavoured Indian tonic water, such as low-calorie versions and ones flavoured with botanicals, which can provide subtle flavour cues for even more tailored drink combinations. 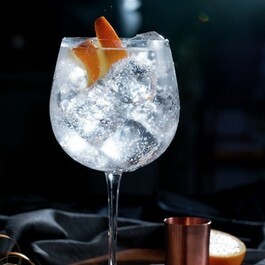 For the best example of tonic playing a great supporting role, you really can’t look past the classic G&T. The flavours of the gin and the tonic water are accentuated by each other’s corresponding profiles, meaning they actually taste differently together than when tasted alone. Science! If we’re behind the bar we’re choosing Tanqueray London Dry to make a Tanqueray G&T. The bitterness of tonic water perfectly complements the core botanical notes in Tanqueray (juniper, coriander, angelica and liquorice) and brings just enough fizz to the juniper party for a balanced, measured drink. Tonic water is a carbonated beverage with bitterness from quinine that best pairs with citrus and botanical flavours, usually found in lighter spirits like gin and vodka. Soda water is water charged with carbon dioxide and the basis for most soft drinks (who knew, right?). On the surface, this may appear to be just regular, unflavoured water with added bubbles, but it lends more complexity and depth to certain mixed drinks. And, more recently, health-conscious guests are starting to recognize that the lack of calories and caffeine are making it a more attractive option than a sugary lemonade mixer. Now, of course, there are certain drinks that call for the sweeter, store bought lemonades (not the fresh kind) but they’re resigned for house parties in your early 20s. 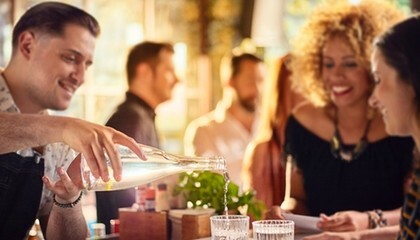 After that, as a responsible bartender, you should provide guests with a more natural flavour carrier like soda water and modify by adding your own citrus notes – by any number of means. The effervescence of soda water allows spirits with brighter notes to really pop. Think citrus, summer fruits and generally flavours found in the southern hemisphere. Not a classic pairing, but to highlight soda water’s best performance in a supporting role we’ve gone for an understated combo and favourite amongst bartenders: Don Julio Los Altos Blanco Margarita. The fresh citrus flavours of Don Julio are given a platform to shine with the smooth, effervescence of soda water. These flavour profiles are a natural pairing, as the soda plays off the sweeter agave notes in the tequila to highlight citrus and more subtle vegetal notes. Soda water is water charged with carbon dioxide that can add texture and complexity to a drink. 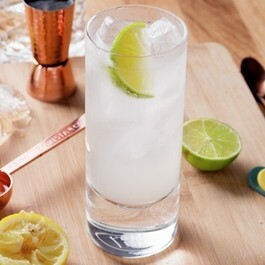 Generally, soda water is used as a mixer with clearer spirits but also performs brightly when partnered with dark spirits, like whisky – best illustrated in a Scotch & soda. Ginger is native to Southeast Asia but now widely grown around the globe, with slight variations in flavour depending on its origin. In general, ginger has a warming, citrus quality that was probably central to its use as a medicinal property in Asia. Ginger beer originated in England around 200 years ago and is full bodied, being both older and spicier than its carbonated cousin, Ginger ale. Ginger beer is brewed and fermented, typically giving it more heat and ‘ginger’ flavour than ale – which is a lighter, cleaner drink made from ginger and water. Both ginger beer and ale work well with lemon or lime (especially lime) due to their shared citrus qualities. Ginger beer is useful for drinks with more neutral base spirits, like vodka and gin, that can temper the bolder flavour(s), whereas ginger ale is more suited to more robust, darker spirits like rum or whisky. 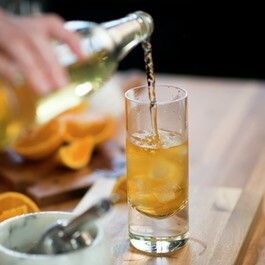 The pairing works because the lemony, woody nature of ginger naturally compliments shared characteristics in the whisky. Try out a Johnnie & Ginger: Johnnie Walker Black Label’s layers of flavour are unlocked in the tall glass, with the ginger ale drawing fruit notes from the whisky with hints of spice. Ginger beer is brewed and fermented, whilst ginger ale is carbonated water with added ginger. Both share similar ‘ginger’ qualities of citrus, woody flavours and a zesty nature in general – partners with darker, complex spirits like rum and whisky. 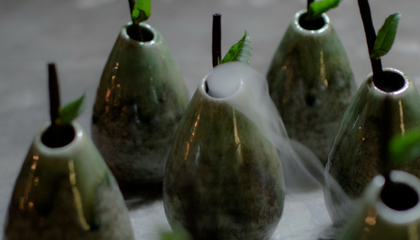 Want to get access to exclusive content including industry news, cocktail culture, bar tools and career tips? 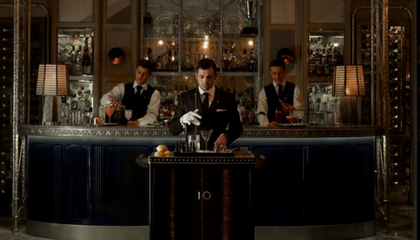 Sign up to Diageo Bar Academy today for unlimited access to it all. 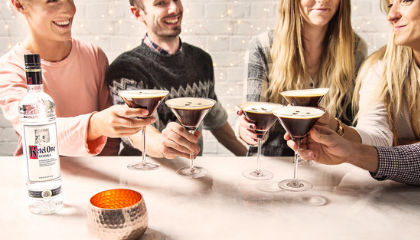 With a history that’s almost as rich as the drink itself, the espresso martini is a staple on any cocktail menu worth its salt. 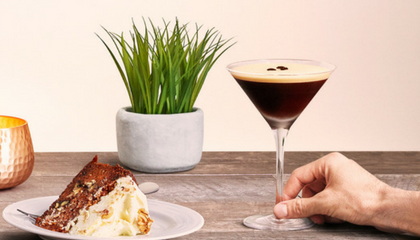 The aptly named Espresso Martini Society (whose menu boasts the largest selection of espresso martinis in the world!) reveal their most inventive twists on classic coffee cocktails for you to serve up in your bar.